For those who haven’t seen it, here is the trailer. Pokenut’s E3 Disscussion Thread is up! With one more week to go, the Communique is thrilled to write….all day…about gaming info…all day. Anyways, here is what to expect! Microsoft will come out @ 9:30AM PT, 12:30PM ET and talk about Xbox One console details, Accessory details, Release date, Pricing, New Exclusives, Something Halo related, Ryse, Call of Duty: Ghosts, Quantum Break, Forza 5, Arkham Origins (possibly), and more games not confirmed. Ubisoft’s conference begins @ 3PM PT, 6PM ET. They will be covering a bunch of upcoming hits like Assassin’s Creed IV: Black Flag, Splinter Cell: Blacklist, Watch_Dogs, additional new IP by Watch_Dogs co-developer Reflections, and Just Dance. Sony will take the floor @ 6PM PT, 9PM ET, promising nothing but greatness. During their conference we’ll finally hear more about Playstation 4 console details, Accessory details, Release date, Price, Gaikai, PS Vita, Diablo III, Killzone: Shadow Fall, Killzone Mercenary for PS Vita, Infamous: Second Son, The Last of Us, Gran Turismo 6, and Destiny. Nintendo…Cancelled their main conference. Instead they will be running a smaller conference @ Tuesday, June 11 at 7AM PT, 10 AM ET that will feature great games like Mario Kart Wii U reveal, The Legend of Zelda HD Wii U, 3D Super Mario Wii U, Super Smash Bros. 4, and Pokemon X/Y. That’s just a brief brief version of Poke’s thread. For more info you can once again go to Poke’s Discussion Thread. He has plenty of links you can click on to stream the upcoming events. A HD remake of Fable 1 is in the works thanks to the fans. The folks over at Lionhead Studio won’t stop teasing about it. Hopefully we learn more soon, Fable 1 Anniversary will be the first Fable to feature Achievements, which is awesome. Loading times will be non-existent but more importantly, you can still kick the chickens. Several months ago, Blizzard announced that one of their biggest franchises would be making its console debut this year. 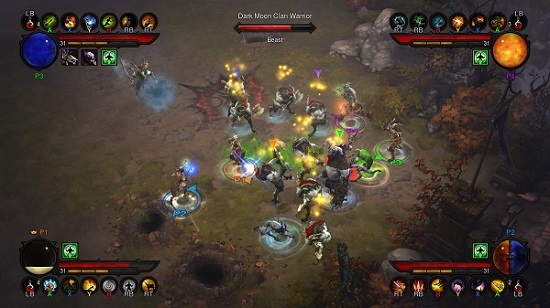 The Diablo series is known for looting more so than Borderlands and Final Fantasy combined. Diablo III has been confirmed for Xbox 360 with all of the goodies that PC gamers got this year; updates, four-player online co-op, and all the other amenities. New, console-only additions (that were obviously needed) include a new camera and control scheme to keep the gaming as fluid as possible. This will be available worldwide on September 3rd, this year. Just in case you haven’t heard about it, Remember Me is a new IP from Capcom. This game has a pretty unique story in the way games go. It’s not a FPS out of space/military shooter. It’s not a racing game. Story-wise, you play Nilin, one of the best memory hunters that exists in the year 2084. The concept of the game is you can trade memories with other players, forgetting certain things and learning new things. Here’s the newest release trailer. This game is available now. Looking for something new and different? This is it, SIP. Ever heard of this upcoming stealth game called Thief? I haven’t seen it before but I guess it’s from a long string of games (Thief: The Dark Project, Thief II: The Metal Age, and Thief: Deadly Shadows). I’m not going to lie, the game looks pretty good. Thief, will be the 4th addition of it’s kind (excluding the remake of The Dark Project) and will release sometime next year. Watch as Garrett (the main character) expresses his love of taking things from others in the trailer below. Metal Gear Solid V: The Phantom Pain was made official during the conference. You heard right, Solid Snake is back an with a different voice. Say goodbye to David Hayter and say hello to Kiefer Sutherland. That’s not really a bad trade off. I’m just glad that it has a normal name. That whole “revengeance” thing…which isn’t a word…caused Hammy some serious migraines. It’s official. Despite rumours of there never being a sequel to Lords of Shadow, Konami pretty much flipped critics the bird by announcing that there is a sequel AND…giving us a trailer. Lords of Shadow 2 has quite a few new upgrades. It’s running on an upgraded Mercury engine, upgraded Patrick Stewart’s voice (…j/k), has new enemies, and new combat skills. Who’s excited to play on the new Xbox One controller? I know I am, Major Nelson wrote an article about the improvements we’ll see in the new controller here. Oh, and speaking of privacy, the Kinect and Xbox have on/off buttons. They won’t ALWAYS be watching you (thank goodness). You know what’s better than a SIP joining? A SIP joining with other communities! On June 9th @ 9pm est, SIP will be playing Halo 4 customs/multiplayer with the Halo 4 Junkies. If you have the time, be sure to click here and sign up! A 3 month gold card will be handed out to the winner of this week’s Caption Contest. Earning a 3 month gold card for something that takes 3 seconds to do is well worth it in my opinion. You better act fast though. Voting will start very soon. Tagged Castlevania: Lords of Shadow 2, Diablo 3, E3, fable anniversary, Halo: Spartan Assault, Metal Gear Solid V: The Phantom Pain, Microsoft, remember me, Thief, Xbox One.